Hard Timing.Challenge your timing, reflexes and skills.Tap right ofscreen to move the mouse right, Tap left of screen to move left,and avoid the white shapes. 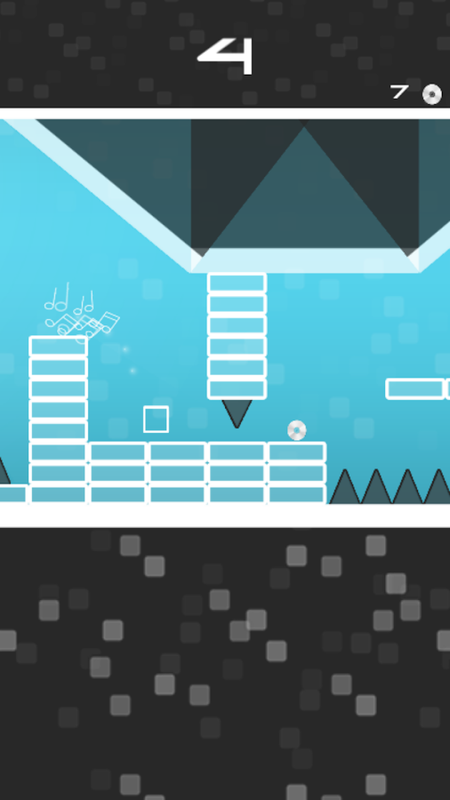 Black balls don't hurt you, they get inthe way.Black platforms help you to reach other platformsTiming andpatience is everything.Challenge your friends and the world on theleaderboard!!!!!!!!!!!!!!!!!! 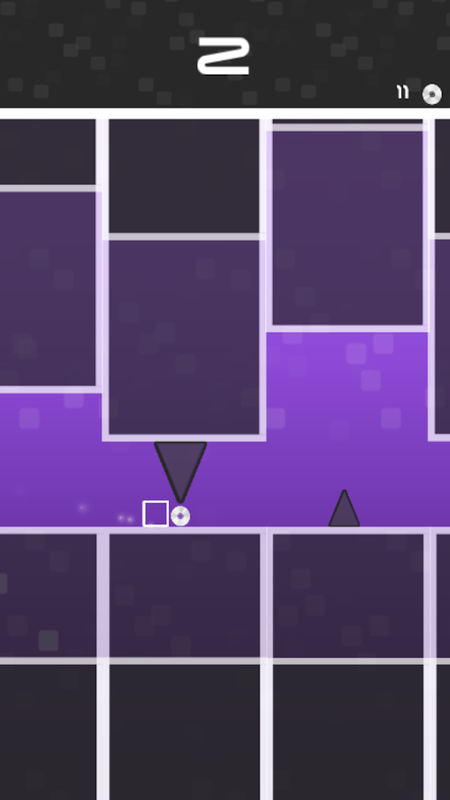 Simple one tap game.Control the eye ball with one tap to change itsdirection, through levels of challenging obstacles.Collects theblue pupils to earn points.Lets see how far you can go, challengeyour friends and the world on the leader board. Orange Clock Works is a arcade style platform game Just like theinner working of a clock, Orange Clock Works take precision,patience, and some skills.Start from the beginning and Work yourway through the inners of Orange Clock Works to completeLevels.There's some check points along the way, so you can continueyour game play.One mistake and your score is back to Zero. Butdon't worry, we have got some bonus points, to help you out.If yoursuccessful at completing all levels, that would be awesome.But didyou top the leader board. You can restart from the beginning toimprove on your high score, and beat your friends or the world.Inthe meantime we will be creating more levels, and fixing any issuesthat arise.So feel free to give us review, and let us know what youthink. stickman games.Run, jump and flip stickman avoiding obstacles inthis endless runner.White is the only safe colour for stickman,except for gems.Hit the colours and boom its game over for flippystickman.Get the paper plane to fly through levels.Tap to jump anddouble tap to jump stickman higher and further.Collect pink Gems toearn points.Look out for random Blue Gems for larger points.Competeon the leader board.challenge your friends.Time to tap tap. Control the curling soccer ball, with a tap, Tap and hold to moveright to avoid the referees, yellow and red cards, hit them andit's game over, collect the world cups and score goals as you gofor points.Top the leader board and challenge your friends and theworld. Speeding Up, Jumping，performing various tricks in the air andlanding safety. The game "BMX Boy" is so easy but super fun. Youonly need to accelerate or jump over the obstacles on the road andget the scores as possible as you can. The way to play is veryeasy. Tap the two bottoms on the screen (The right one isaccelerating and the other one is jumping).Show some cool tricks inthe air can get extra points. 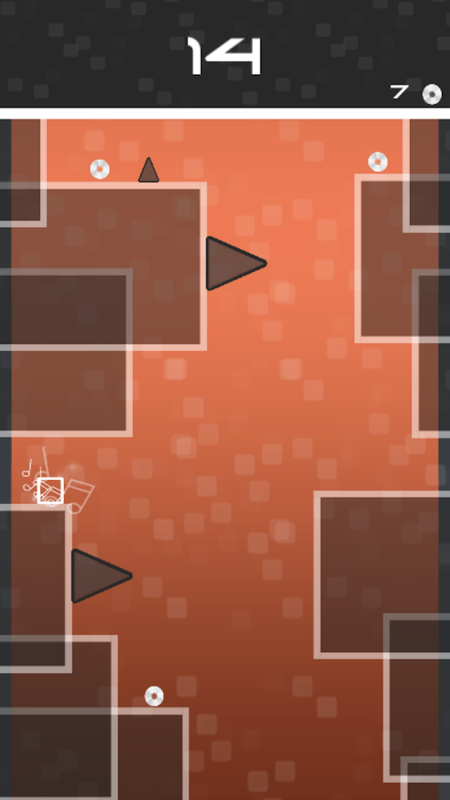 Features: -Clear and simple pictures-3 different terrains -90 cool and addictive levels. -Various cooltricks. -More levels are coming soon. Hippy has a new bike now and started her journey. Exciting familybicycle racing, unbelievable tricks, leaps and adventures, ofcourse are waiting for you! If you like competitions, parkour andhave fun - choose any bike and try yourself together with Hippy inan exciting family bicycle racing. There are a lot of levels anddifferent locations in this game. Start from the Stone Age caves,have races and jump between dinosaurs and pterodactyls. Then try tofind some treasures in the treasure desert. Try your best to gothrough the volcano valley and come to the mystery forest, full ofunbelievable wonders. Make your bike better and you could achieveeven snowy Antarctic! And even after Antarctic, our race will notend! Choose a new character, collect a new level up bicycle andeven exceed your own expectations - make your records betterand be the absolute champion of a funny family bicycle racing.There are two modes in the game - parkour and team competition. Andyou could choose these two modes for every level of this excitinggame. Do you like to perform tricks? Parkour mode is for you. Andif you want to take part in a competition and be the winner, anexciting bicycle racing with Hippy could help you with it. The gameFamily Bicycle with Hippy as well as all our educational games forboys and girls is absolutely for free. Have Fun and take part inall the adventures. Take a sit in your bike and you will rememberthis game forever! Cycling is best for maintaining fitness. So become a best freestylecyclist and ride with full speed by controlling the BMX (Bike)handlebars with strong wrist grip. Race the 2 wheeler monsterbicycle by kicking fast paddle to perform stunts in freestylejumping. This bicycle wheelie game offers adventurous off-roaddriving experience with perfect cycle simulation. Here is the turbochampion nitro bike racing area. Are you ready for bikechampionship? If you like the rally game, this game for you. Everylevel very enjoyable and exciting. You can racing with Trial bikeracing arena. Be careful the land is rugged, challenge with bikeracing. 24 different and exciting xtreme stunt bike level. MTBDownhill will burn your blood. Best action mtb racing game ever.Download now for free, and join action stunt bike racing gamenetwork. Do you like mountain bike games? This game is for you.Whether downhill or uphill with different mountain bikes.Experience the pleasure of riding a mountain bike! Mountain Bike,kick the paddles, push forward to take the dodgy roads & hilltracks. This is a new Simulation of Cycle Game in which you willhave to cycle across the countryside, across hills & mountainsrace with traffic this offroad BMX bicycle is an awesome ride inthese terrains. Cycling is a sport full of energy, consistency. getthe taste of professional bicycle compositions & bicycle racein this bike simulation, this winter try out this cycle even insnow it will work like a charm, it will take you to an adventureland of hill climb heroes like feeling a realistic cycle experiencewhich will make your nerves strong and a fun way to see howmountain edge cycling works, it's a touch grind like bike simulatorwith speed cycling and freestyle stunts. MTB Show yourself on thecrazy bike trails, forest and mountain trails. MTB Downhill:Multiplayer, you should definitely play this game if you are boredwith it. Collect bounty jumps on the hill from the hills, leavebehind other MTB cyclists. Develop your mountain bike, cross themountain from mountain peaks with BMX and other bikes, and leaveyourself to the wind. *** 24 different bicycle tracks *** ***Realistic Mountain Bike Control *** *** Different weather modes ****** Disabled Tracks *** You can contact us for suggestions andcomplaints. This time superhero spider is on bicycle with spider hero uphilloffroad bicycle. Become a spider BMX bicycle rider. Choose yourfavorite model of MTB bicycle or crazy BMX bicycle as uphilloffroad spider bicycle rider in this superheroes bicycle game. Playspider bicycle race game! start racing and riding the spider bike.Super hero is riding a motorbike on hills and facing extreme curvesand jumps. Avoid various obstacles and crash! Perform tricks andclear all check points to earn more scores. Spider racing bikeedition is coming soon. Spider bicycle rider is for all ages! Playfor ultimate offroad spider hero bicycle stunts on extreme mountainbike with Super Spider Hero BMX Bicycle Stunts.Race the 2 wheelerbicycle by kicking fast paddle to perform stunts with freestyleuphill jumping. The bicycle wheelie games offer adventurousoff-road driving experience with perfect cycle simulation. Uphilloffroad spider bicycle rider is specially designed cycle game forkids with their favorite hero. This superhero BMX bicycle stuntwill put you at the crazy bicycle riding wheels of mostexhilarating bike ride, as you face the toughest offroad paths anddangerous sharp curves.Features of Spider Hero Bicycle Stunts:•Absolute treat for the lovers of superheroes bmx bicycle stunts.•Multiple challenging mountain climbing missions.• Highlightedcircled checkpoints for downhill offroad spider bicycle stuntsriding & racing.• Free ride, stunts & obstacles mode forhours of spider cycle game.• Offroad curves & uphillenvironment with realistic bicycle controls & animations.Folks!It’s time to become a super spider bmx bicycle rider with downhillspider cycle. As a spider superhero rider show bmx racer skills onuphill offroads by paddling BMX cycle fast. While racing tricky MTBbike avoid obstacles and tricky hurdles and focus on highlightedcheckpoints. Perform impossible bicycle stunts with Super SpiderHero BMX Bicycle Stunts. Grab your BMX and get ready to shred! There are so many things todo in this free bmx game! - Ride your bike and do tons of differenttricks! - Create your own skate parks to ride in! - Customize yourcharacter and your bike! - Earn skill points to level up yourcharacter! - 3 different game modes! - All while listening to musicfrom great artists! Feel like a pro freestyle BMX rider in this BMXsimulator game, while you are skating the skate parks, doingawesome and extreme stunts and tricks, wheelies, wallrides, flipsand grinds! Ride ramps, ride streets, ride anything! 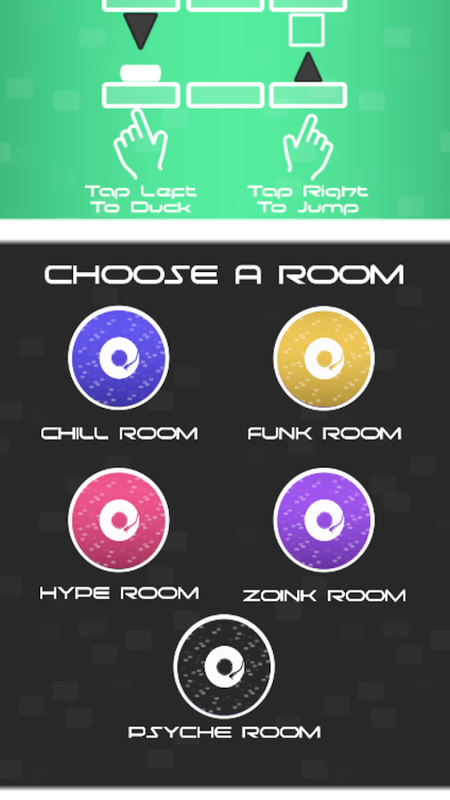 Pick one ofthe 3 game modes, Arcade mode, where you score as many points asyou can in 3 minutes, S-K-A-T-E, where you have to do specifictricks to win, or Free Mode where you can skate around with no timelimits or interruptions and just have fun! Customize your characterwith tons of different shoes, shirts, hats, accessories and more,customize your bike with different bike parts and paint it any wayyou want to! You can even create your own maps and ride them! Sowhat are you waiting for? Get it and go shred it! The game isdeveloped by independent developer EnJen Games. Follow EnJen Gameson www.facebook.com/EnJenGames, to request new features, reportbugs, or get the latest news about new EnJen Games or updates!